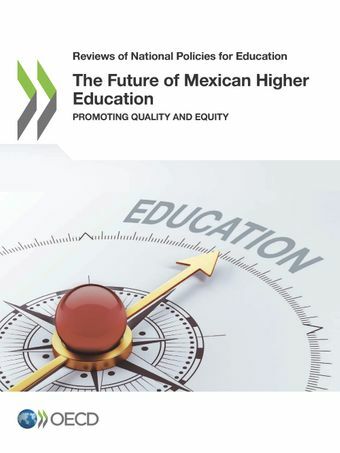 This review of higher education policy in Mexico was requested by the Mexican Ministry of Education to take stock of progress since the last OECD review of the higher education system in Mexico, published in 2008, and to support development of the new government’s National Development Plan and Sectoral Education Programme. The report examines the state of the higher education sector in Mexico and analyses key policies implemented by the federal and state governments. It assesses national governance and co-operation structures that help to guide the higher education system, and the relevance of existing national strategies. It also looks at public funding of higher education institutions, how the quality of higher education programmes is assured; and the extent to which the higher education system contributes to equity. The report concludes by exploring two key sectors of higher education: teacher education colleges and professional and technical institutions. A companion volume focusing on the labour market relevance and outcomes of higher education is also available: Higher Education in Mexico: Labour Market Relevance and Outcomes.